What to do after Windows XP dies in April 2014? Come April 2014, Windows XP will end its long, respectable tenure as the most successful Windows operating system version ever. For hundreds of millions of people worldwide, this end of life presents with a big dilemma. What to do now? While I did address the obvious fear mongering associated with the nearing Windows XP death, we sure did not discuss the possible mitigations and options available to the users. To wit, in this article, we will elaborate most handsomely on what you should do once Microsoft pulls the cord. You need to understand one thing. An end of life of a product can surely be examined from several perspectives. One is the purely functional perspective. Another is the security angle. Lastly, we have the vendor support. Not all these are equal or can be measured with a single scale. The first thing you need to ask yourselves is, what do you use Windows XP for? The next one is, even if it were not dying in April 2014, would you continue using it if you bought new hardware? Finally, how much do you care about functionality and security? Let's analyze these three scenarios. One is, a casual user, for whom the advancement in technology is irrelevant, as long as they have mail, Web, some gaming and such. Indeed, for this kind of user, the kernel version, the filesystem, the network protocols, and even the CPU flags are entirely meaningless. As long as they have the software they need, they could not care less what operating system powers the application base. For the casual user, the end of life of Windows XP is all about inconvenience, if that. In this scenario, the user only needs new applications to continue enjoying their world of interest. If they are running on old hardware that supports Windows XP, then the question of new updates for new devices is also equally meaningless. Scenario 2: You are planning on buying a new laptop. Running Windows XP on a new machine is probably a no-go, because Windows XP lacks the features to support the latest kernel, the latest devices, and there might be no drivers available. Here, it makes sense to upgrade, if only to allow the necessary hardware layer support. We did not discuss the application layer at all, because it's very similar to the earlier story. Scenario 3: The security-minded user, who might find the lack of future security updates alarming, even if they may have found a way to continue using their software and hardware well. True, the operating system vendor might be deliberately withholding the latest and greatest they have in their store, like the recent DirectX, Windows Media Player and Internet Explorer versions, but it makes little to no difference. The focus is on the security side. As you can see, there are actually three different problems we need to discuss, and not just one. There's the software part, the hardware support, and the security. Each one requires a separate approach, which we will briefly address. After Windows XP dies, you can majestically not do anything. Continue using your operating system until a) your hardware dies b) all software vendors out there officially stop supporting your Windows version, and you truly run out of software for your machine. Even then, you can continue running older versions of software, probably with a few but not very many issues. For the security-minded people, this is not a practical scenario. It is good enough for the first two groups, though, especially the less savvy users. I imagine that most XP users will be running older hardware, so the eventual attrition and replacement will take several years to complete. Software wise, it will take much longer. Note: Image taken from Wikimedia, licensed under CC BY-SA 2.0. This is what Microsoft most definitely wants you to do, because you're stagnating their cash flow. If you ask me, and you damn well should, then try Windows 7. It will be supported until 2020, which means a good solid six years from now unless extended, enough for you to go through at least one and possibly two hardware refresh cycles. Windows 8.X family is another option, but I'd steer away due to inherent stupidity, at least until they fix their mess. 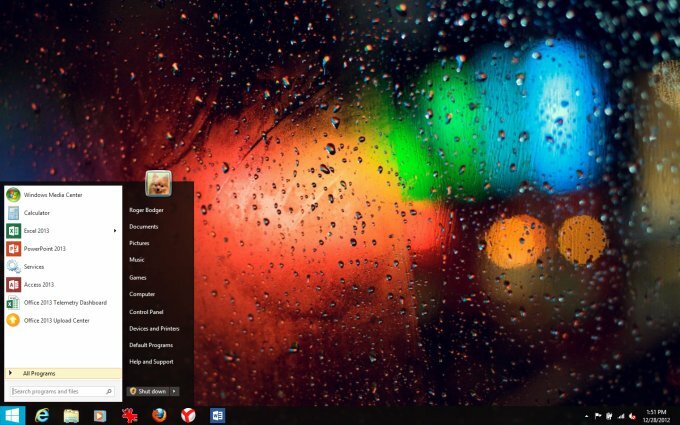 If you really love the looks of Windows 8, you can easily obtain them on top of Windows 7 with just a small amount of visual hacking. We did the same thing with XP to make it look like Windows 7. Right. This option sure is an acceptable answer for most. It addresses all three problems we have, but it does have a big downside. Extra costs. Some people might not have the money needed to purchase yet another license for their boxes. This is a tricky one. Most Windows people are not ready for Linux, but some of you might be. 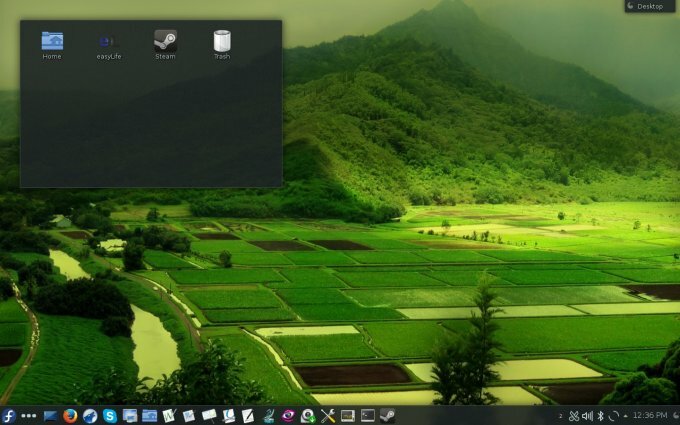 In the colorful world of Linux, you will gain modern and relevant operating systems with full hardware support and quite a bit of breathing space when it comes to running on legacy machines. I have recently reinstalled a nigh-10-year old laptop with Xubuntu, one of Linux lightweight flavors, and it runs just fine. Both modern and sleek. Gives you an idea of what can be done, if you put your fingers to it. The application stack might be problematic, but you should consult my two big lists to get acquainted with what's available. 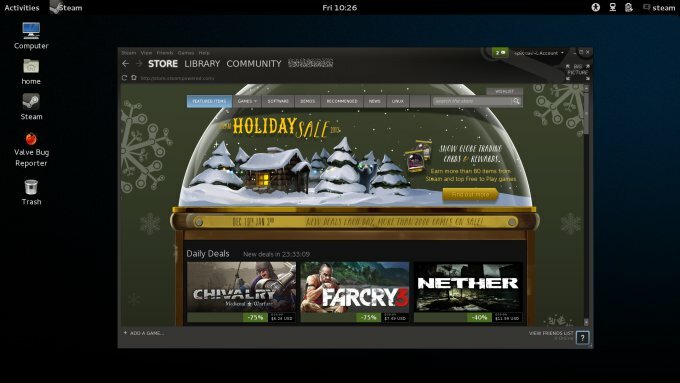 Then, there's SteamOS, so you will not be left without games, even if you do switch. Till now, this has been one of the major roadblocks for those considering the move. Once again, it's far from being golden, but it's definitely a worthy alternative. Like the second option, it answers all three questions, and it's free. What about hardware and software for XP users? Let's talk a little more about option #1. Some of you will remain using Windows XP for a long while. Hardware will be your biggest issue, should components fail. You will probably struggle finding replacement parts for very old machines, or some of the new devices could be missing drivers for your version of Windows. This is what you need to keep in mind. However, I do have a great suggestion for you: virtualization. Let's combine options 1 and 3. 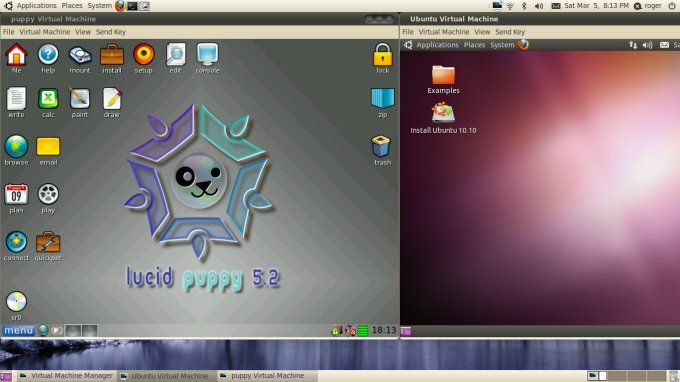 If you're willing to give it a try, you can install a new machine with a Linux, to act just as a shell for some kind of a virtualization software. 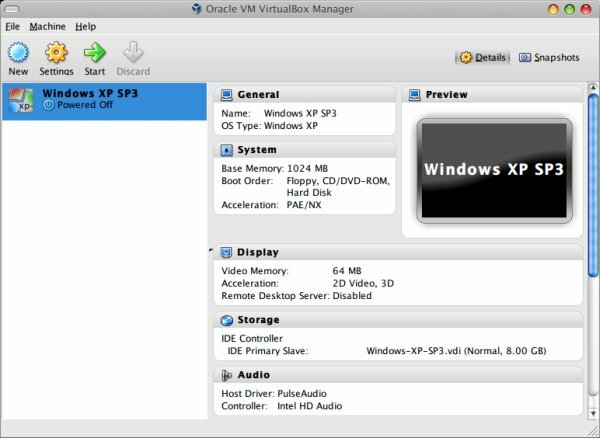 You may go for a friendly solution like VirtualBox or VMware Player, with a big frontend and a lot of easily accessible features, including limited advanced support for graphics. If you're willing to risk it, oh bold adventurer that you are, you may try a more Linuxy path, with KVM and Xen. You might also go for a full-blown baremetal hypervisor, but this is not a recommended option for new users and fresh converts. Still, this is definitely a technology you should master, and fast. 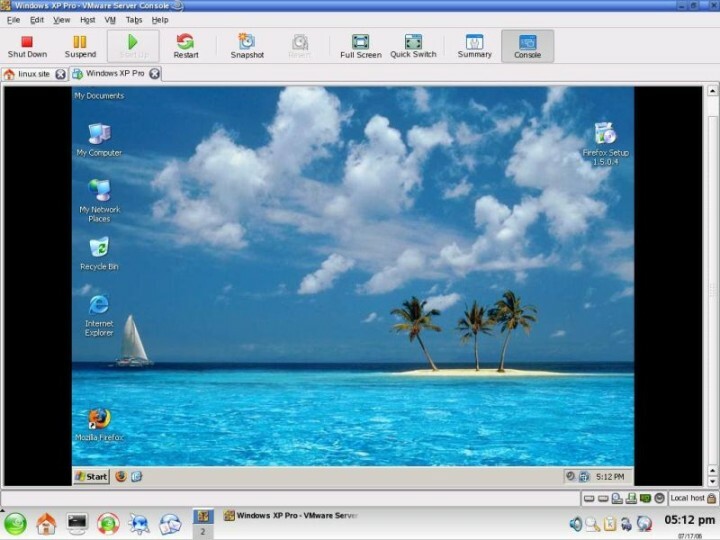 Then, once you have your Linux set up, install your old trusted Windows XP as a virtual machine. Sure, you will lose some hardware support, for some of your peripherals, and you won't have any great 3D support, but if it's the question of software compatibility and having to upgrade to a new version due to hardware failures, this could be your golden equilibrium. You will be able to neutralize the hardware equation, and you will be able to continue using software for as long as the vendors keep doing it. Now, eventually, it all depends on how big of a chuck of the market XP retains. As long as it's in double digits, you will have your applications. Think about it, Microsoft does not offer its latest browser for Windows XP, but both Google and Mozilla still do. So yes, let's discuss this some more. To give you the best guess on how long you will be able to enjoy XP software without any great limitations after the official end of life date, let's examine the Windows 98 life story. It was terminated in July 2006. Taking Firefox as an example, the first version of the Mozilla browser that no longer supported Windows 98 came out full two years after it died. This is a decent indication, popularity notwithstanding, that you will probably have a whole lot of good and high-quality products around for two or maybe even three years after Windows XP dies and its usage tapers off. That's my hunch. What about security for those who keep using XP? And here's the big one. 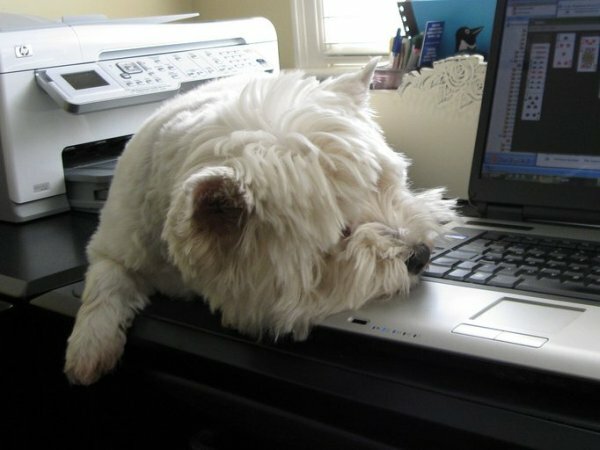 What do you do if you stay with XP as it is, regardless of all these other considerations? How can you guarantee that your machine remains safe and secure, even if you do not run any new updates and patches? Well, first, the whole security thingie is way too much blown out of proportion, especially by companies selling relevant products. They are worried about the security of your shi ... I mean stuff, but you need not be. 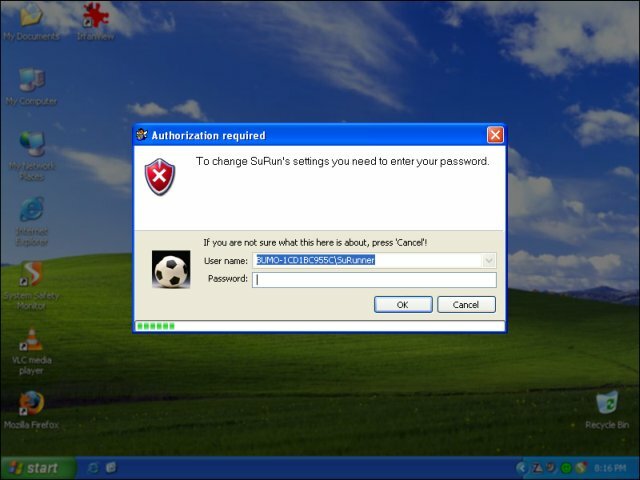 There's a lot of great security practices you can try to make your XP withstand the molestation attempts from without. One, firewall. Two, limited account and group policies. Three, there's an awesome program called SuRun, which employs the sudo mechanism for Linux. 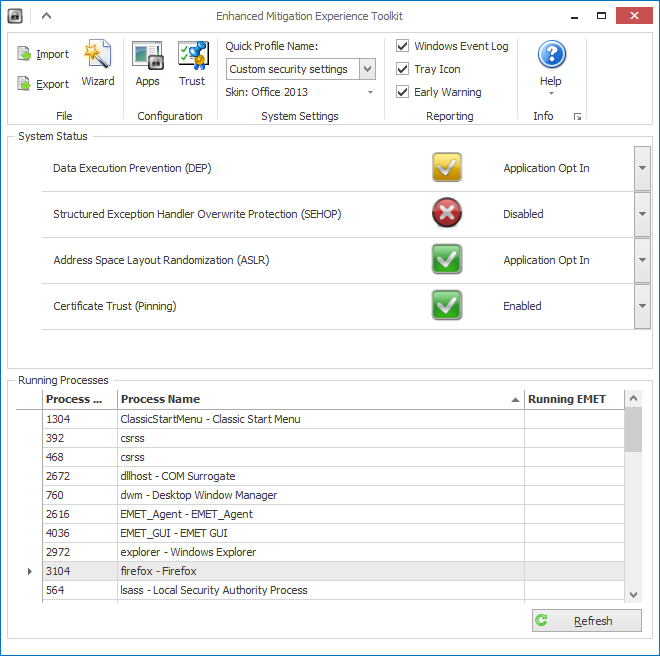 Four, EMET, the best Microsoft product ever, will make you tougher than a medieval virgin with an iron maiden. Honestly, you don't need anything else. Do not deliberately download crap, and you will be fine. If you're really worried, please read my Web and mail safe practices guides to learn how to continue using pr0n with delight and security combined. 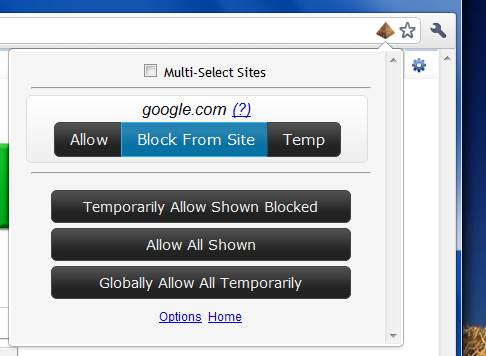 Lastly, browser extensions like Noscript and Notscript will make the Web a really boring place altogether. All this without a single update. Really. Don't let the fear choke you. Windows XP will die, but that does not mean you should panic or do anything drastic. It's all good, relax. For at least several months, you will be fine, without any need for any decisions. You can go in between updates for months, so no exception there. Then, after you decide what matters to you the most, make the right adjustment, based on the hardware, software or security criteria. You have a lot of options before you. You can try Linux. You can try virtualization. And even if you stay with XP, you have a couple of years of peace, reinforced by some excellent security practices that do not require that you pay money to vampires, or cave in to their fear mongering propaganda. 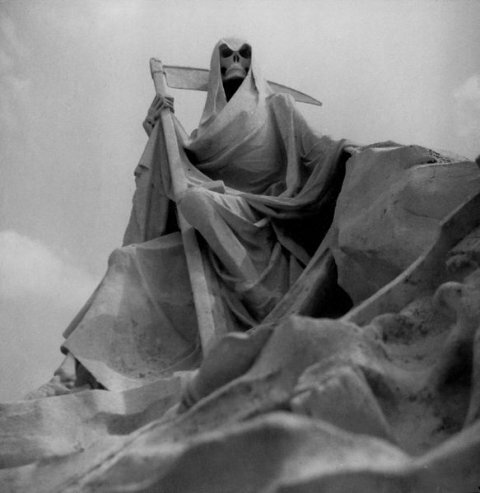 It's not as sinister as they would like you to believe. Much like catching STD in real life. Not a biggie. Have fun, dear fellas.